South Padre Island- a vacation hot spot located at the end of the world's longest barrier island and home to the cleanest most beautiful beaches in Texas. Named best location for surfing, windsurfing, kiteboarding, sandcastles and fireworks- South Padre is a favorite vacation destination not only for spring break but all year round for couples, families-all ages alike. This quaint island town is the perfect destination for fun in the water and the sun with lots to offer nature and animal lovers. It's not complicated or overly busy but rather a respite for anyone looking for relaxation and adventure in the great outdoors. 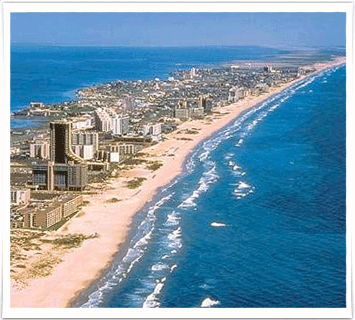 South padre Island is a great escape- even if only a temporary one! South Padre Island, originally named after José Nicolás Ballí-a Catholic priest and settler, is located in Cameron County, Texas. Just across the Queen Isabella Causeway, the 1/2 mile wide barrier island has an approximate population of 3,500. The Lower Laguna Madre, that runs along it's western shore, is one of the few hyper-saline bodies of water in the world drawing an incredibly magnificent and prosperous variety of fish. The earliest known people to have inhabited or visited the island were nomadic Native Americans or Spanish troops. It was not uncommon for ships and the survivors of shipwrecks to end up on the island's shore. The first to inhabit and take ownership of the area was Spain-from its entry into the New World until the Mexican Revolution of 1820. Following the revolution, Mexico overtook Padre Island from 1821 until 1836, when the newly formed Republic of Texas claimed the area between the Nueces river and the Rio Grande. Finally, Padre Island was taken under ownership by the Republic of Texas until its territory was acquired by the United States, following the War with Mexico of 1845-1848. The first permanent settlement on the island was located on the island's southern tip. From 1804 to 1970, after the National Seashore opened in 1962, the island was used almost solely for ranching. An interesting fact to know of the island's history was that from World War II to 1960, a Navy bombing range existed on the northern end of the island.